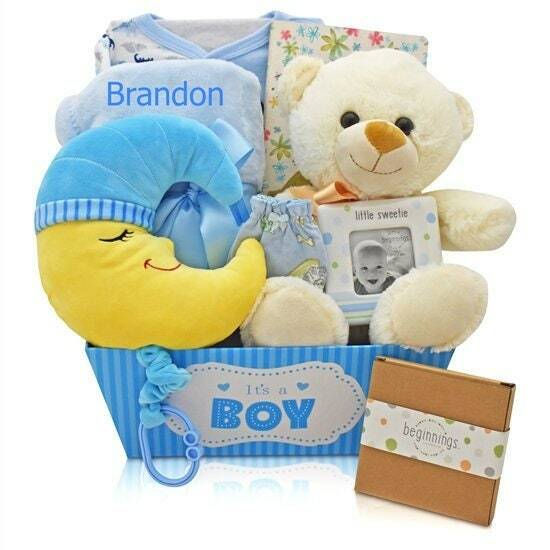 A Bright and lovely “It's a Girl” gift box has a full size blanket and a large moon that sings a lullaby. We can also personalize the blanket (additional charge). For personalization, please enter baby's name (up to 9 characters) in the space provided or the Notes/Comments box during checkout.